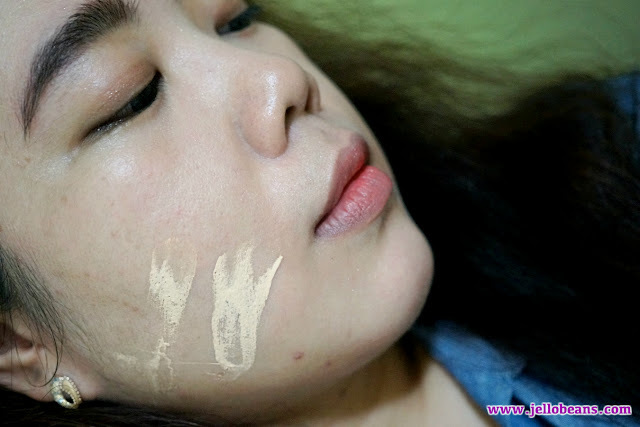 Myra VitaGlow BB Cream with Minerals SPF 15 in Ivory, 20ml (MSRP: Php 99) - The perfect product for modern girls on the go who need to look gorgeous in a flash. This radiance-boosting tube is packed with multi-benefits for your skin that allow you to combine the prettifying power of skincare and makeup. Gives a hint of color. Evens out skin tone with a natural coverage. Contains minerals and Vitamin E to help skin soft, healthy and young-looking. With SPF 15 to protect skin against the sun's harmful rays. Hey there guys. 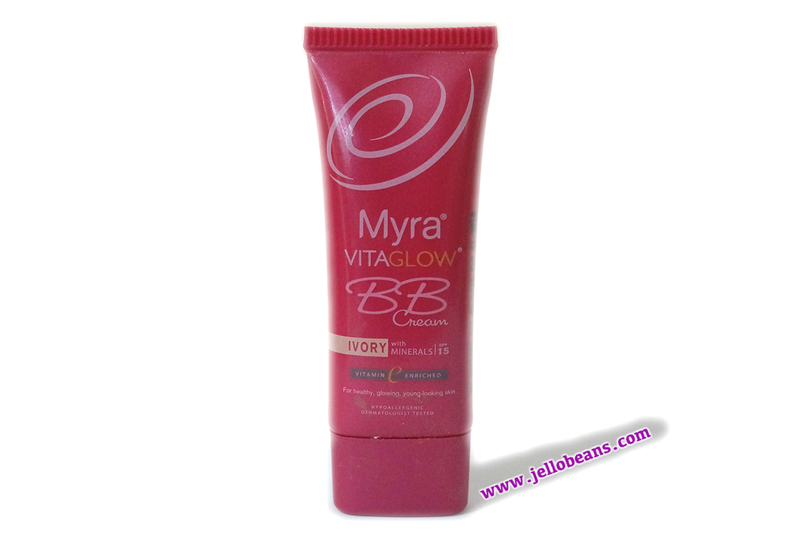 I'm kicking off the week with a review of this Myra VitaGlow BB Cream. It has been awhile since I've bought a beauty item from Watson's since I usually shop online. Myra had a brand sale a few weeks ago (sale is until June 30) and I picked up a few items. This BB cream is one of them. I picked up shade Ivory which was the only one available at that time. I think there's another shade available for this (Beige) but I'm not sure since there weren't too many information online about this product. - Moisturizing with Vitamin E. This lightweight cream hydrates your skin to keep it soft and supple. Helps nourish your skin even more, so your complexion appears younger-looking and healthy. - Skin-enhancing minerals. Adds a natural, glowing finish to your skin. You’ll love how the subtle, light-reflecting shimmers in this cream will make you look like you’ve got a lit-from-within glow. - SPF 15 Sunscreen. Protects you from harmful UV rays that causes premature aging. - Hypoallergenic. Girls with sensitive skin don’t need to worry about breakouts, because this dermatologist-tested cream is proven safe for daily use. - Affordable. Instant glowing skin for only P99 a tube. I thought the shade is quite light out of the tube and when I swatched it on my arms and face. But since the coverage is very light, it really didn't make my face pasty white. 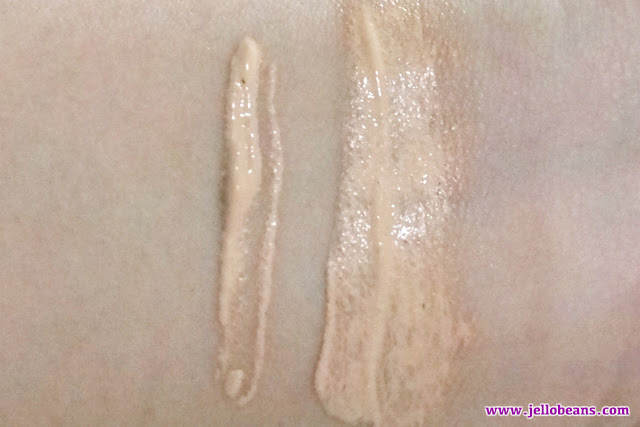 This has a slight yellow undertones and oxidized quickly - you can see it turning dark on my swatch - so the color blended well into my skin despite looking very light. As mentioned, this has very sheer coverage so it won't be able to cover dark circles or blemishes. The formula is also not buildable. When I tried layering, I still don't get any additional coverage. 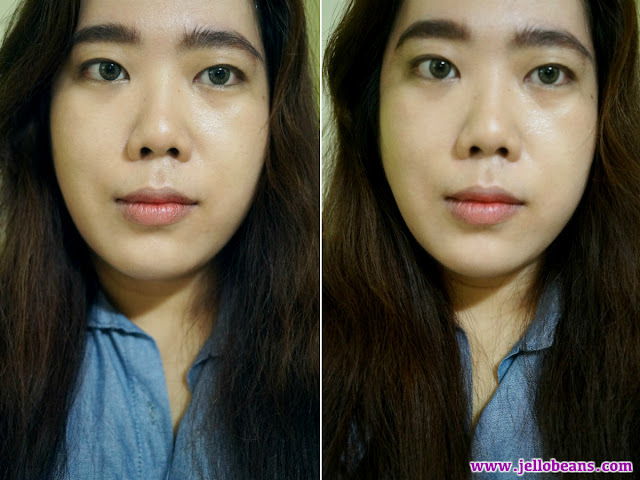 It does help even out the skin tone, neutralized some redness and brightened up my complexion. I saw some fine shimmers but it isn't really noticeable unless you're under some intense light. The formula is lightweight and watery. It felt comfortable on and spread easily. I felt ok with it the few minutes of application. But when it started to oxidize, that's when I noticed some greasiness and oiliness. 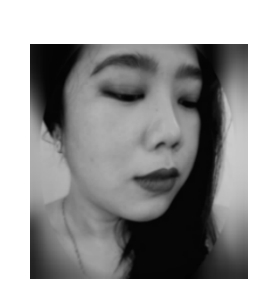 My skin reacted to the oiliness and I looked flushed and red all over. Also, when I started to sweat, the makeup came off. This BB cream has good potential as it affordable (especially when on sale) and easily accessible. In retrospect, I used a healthy amount to cover my face so the 20ml tube would not actually last as long as other BB creams I've tried (maybe one month tops vs up to one year). The lightweight formula felt comfortable at first but as it oxidized, I developed oil . With sweat and oxidation, it didn't last and came off in patches. I think this one would be a good option for younger girls who are just starting with makeup and trying to take care of their skin. More mature, or oily skin type would find the coverage and longevity lacking.